Departure from "CAIRO" by private car to "FAYOUM" Which is about 100KM South West of "CAIRO". 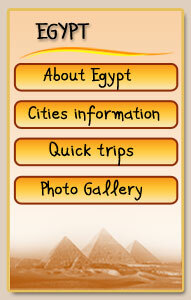 Arrival at The City which has a rich historical Background of Ancient Civilization. it is a place For lovers of nature and those who seeks peace & Tranquility . S/S "LAKE KAROUN" situated North West of "FAYOUM" being a large fishery and fabulous Surrounding. 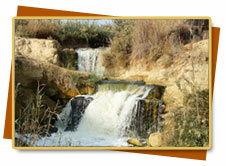 A visit to "GABAL EL ZLEVATED" SPOT that overlooks The Lake used as tourist spot & for Camping. A visit also to "LAHUN PYRAMID" and "MADINET EL MAADI (City of the past)" .Lunch at "SYLLIN SPRING HOTEL". Departure to "CAIRO" . Note: Single travelers will be charged for an extra 20 percent as a single supplement.